Add salt to broth and bring to a boil. Chop the shepherd's purse finely and add to the broth for less than a minute, stirring until the vegetables have absorbed the liquid. 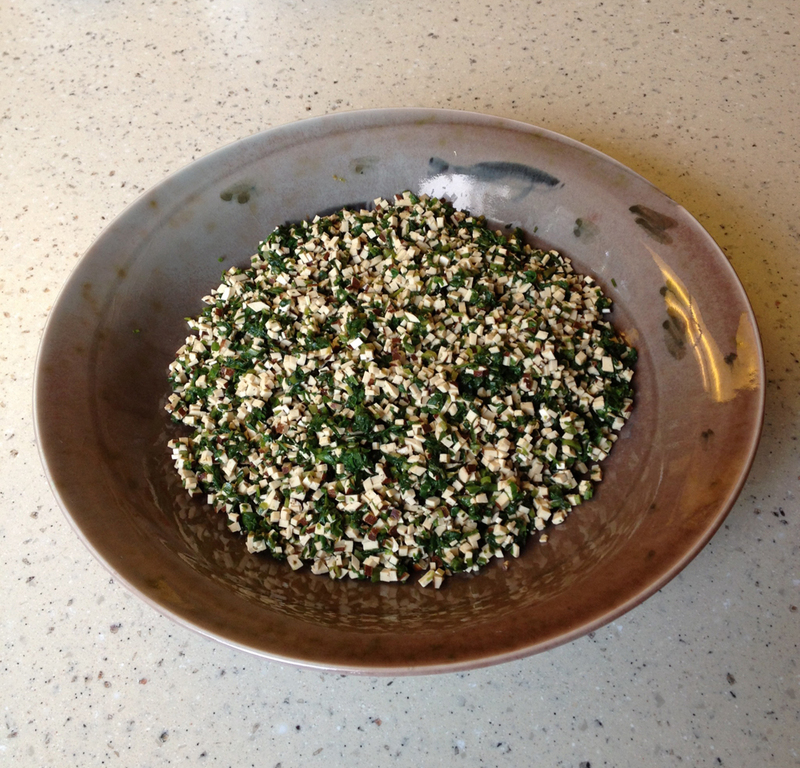 In a bowl, mix together the shepherd's purse, tofu, soy sauce and sesame oil. Shepherd's purse (jicai) is an aromatic weed used to enliven many Chinese dishes. In the U.S., this is usually found in chinese grocery stores in frozen packages. If this can't be found, fresh cilantro makes a fine substitute.